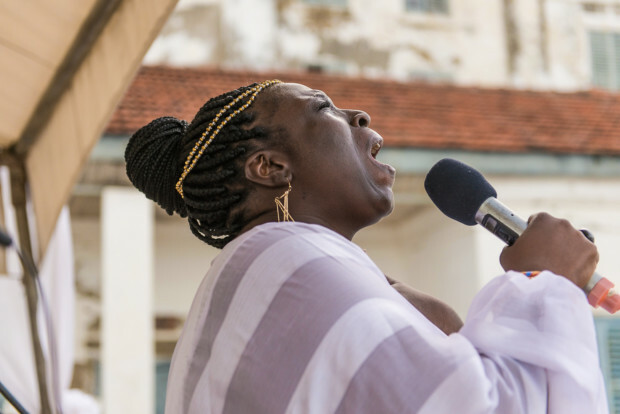 Ghanaian history is intertwined with the global history of slavery, with the nation having the largest concentration of old slave forts and castles than anywhere else in the world, lining its shores of the Atlantic Ocean. This same ocean is presumed to be the largest graveyard of black bodies with an estimated five-million lives lost to it during the Middle Passage. These lives, however, are largely reduced to stale paragraphs in history books, making it difficult in contemporary times to understand the scope of the enterprise. Ghanaian sculptor Kwame Akoto-Bamfo, addresses this in his exhibition, In Memoriam: Portraits of the Middle Passage, In Situ, which confers a vivid image of the trans-Atlantic slave trade, from a local perspective. 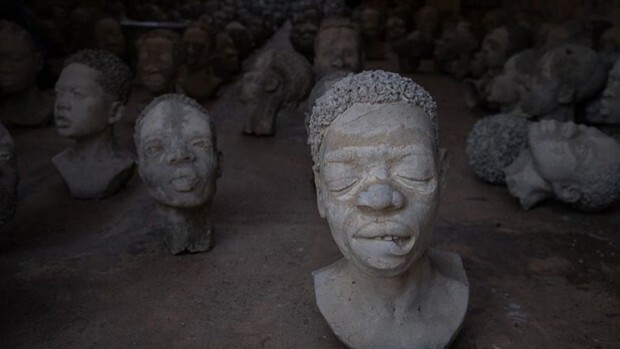 The exhibition, which opened in mid-June at the Cape Coast Castle, displays 1 300 concrete heads that depict some of the lives that were transplanted. The body of work installed in the male and female dungeons, might be the largest by a single artist in Ghana. In his debut as a curator, African-American art historian and Fulbright scholar Daniel Dunson engineered a fitting gloomy yet reflective atmosphere to magnify the sculptures by complementing them with the poetry I wrote, printing it onto the walls of the main exhibition hall to reverberate their imagined experiences. The exhibition also includes a photo series by Ghanaian documentary photographers Naa Abiana Nelson and Nii Odzenma, that show smaller, private installations of the heads in the other slaves castles and forts such as the Ussher Fort in Accra before they were brought to Cape Coast. The stretched canvas prints, also fitted in the space, symbolise the scope of slavery across the country. This careful balance of words and images creates a sullen atmosphere of reflection that clouds the exhibition space, magnifying the poignancy of the concrete heads. 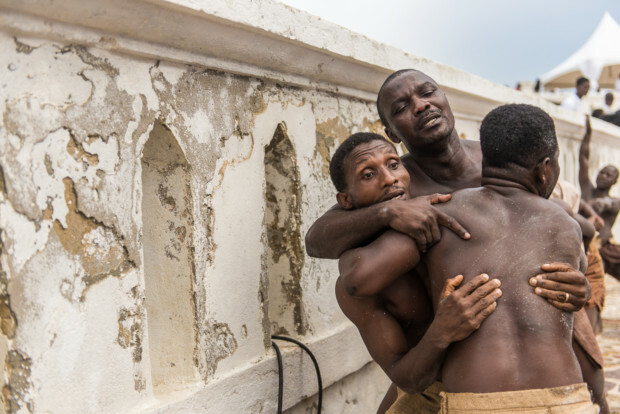 By situating the exhibition in the Cape Coast Castle, one of the major slave castles, the artist initiates a process of healing at the heart of the scar. His work attacks the facelessness of the venture and emphasizes the humanity of the victims by giving us a new way to recognize them, through rich detail etched onto each figurine from the cornrows and knotted hair to the scars and bandages on them. 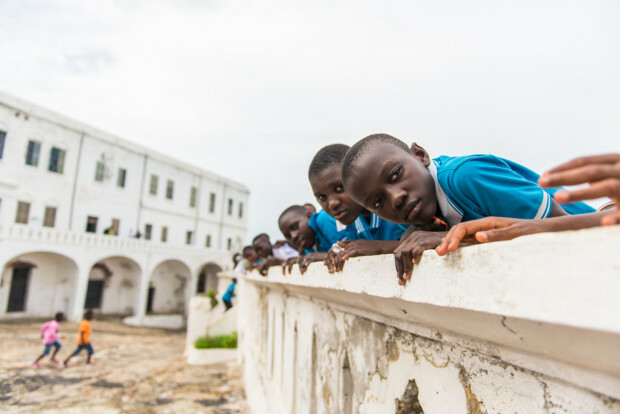 The Ancestor Project plans to produce over 11 000 heads – which you can make donations towards – each intended to be unique like the many on display at the Cape Coast Castle. 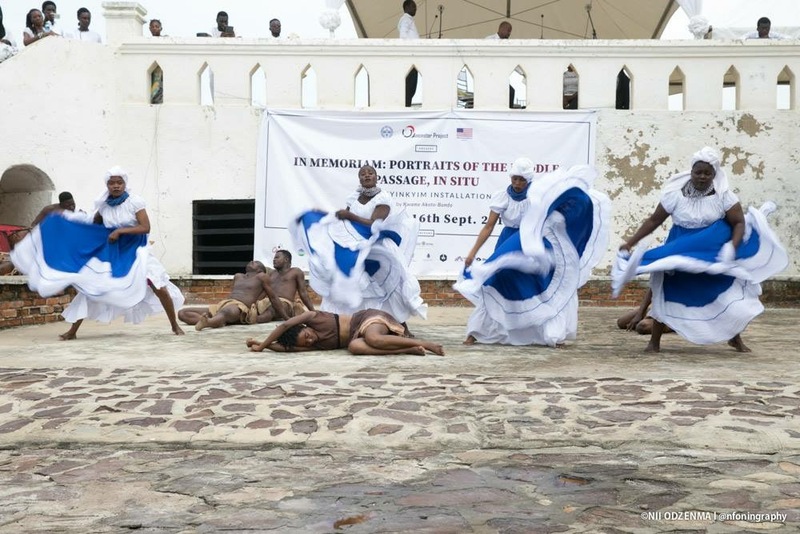 According to Kwame, the inspiration to take up the task of pictorially representing the millions of lives caught up in The Middle Passage with the Ancestor Project, an independent contemporary arts institution which he founded, emerged from learning about the history of Ghana and how inseparable it is from slavery. 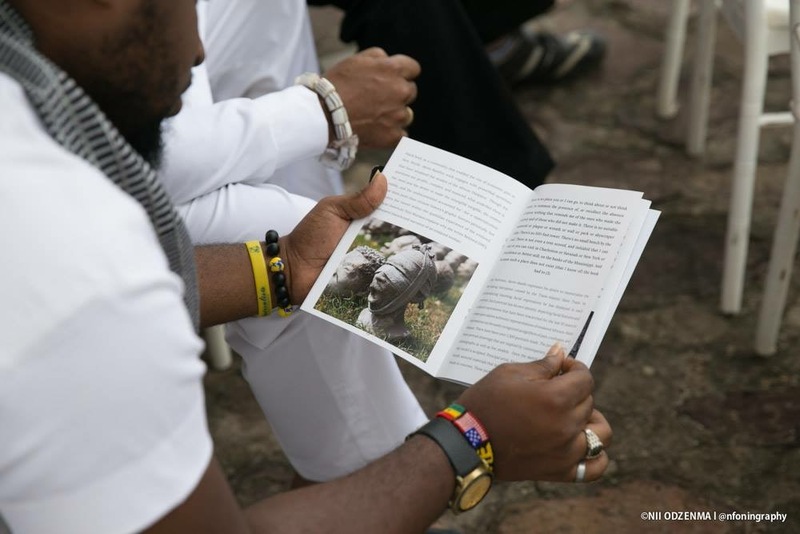 He then decided to give a physical representation of what he felt was missing from the Ghanaian history of slavery, by honouring the millions of lives that left Ghana’s shores to the “new world”. This identity is also the first connection any viewer makes with the busts, which now fill up the emptiness of the male and females dungeons in the castle. By reclaiming the visual narrative, Kwame and his work present a new image to remember the trans-Atlantic slave trade. Before the Portraits of the Middle Passage exhibition, the forts and castles were the only visual representation used to remember slavery. However, the sculptor brings forth a worthy and truthful image based on years of research into what the enslaved looked like, crystalizing their new identity in eternity. Kwame’s work, is a long overdue ritual of passage for the nameless lost, in line with the elegant and elaborate Ghanaian funeral culture. The great respect giving to the dead was never extended to the victims of slavery.